This afternoon my Mother In-Law stopped by our house on her way back from a trip. She brought us a few peaches from a local farm, Black’s Peaches. My Husband mentioned that he would love to have a cobbler and my answer to that was “I don’t know how to make a cobbler”. His Mom gave me this quick recipe and it turned out great! I never would have guessed that something this good was so easy to make! Place a greased 9 x 9 baking dish in the oven and preheat to 350 degrees. Combine flour, baking powder and salt with a whisk. Once blended mix in sugar and milk. Pour butter mixture into the bottom of your dish then pour the flour mixture over top. 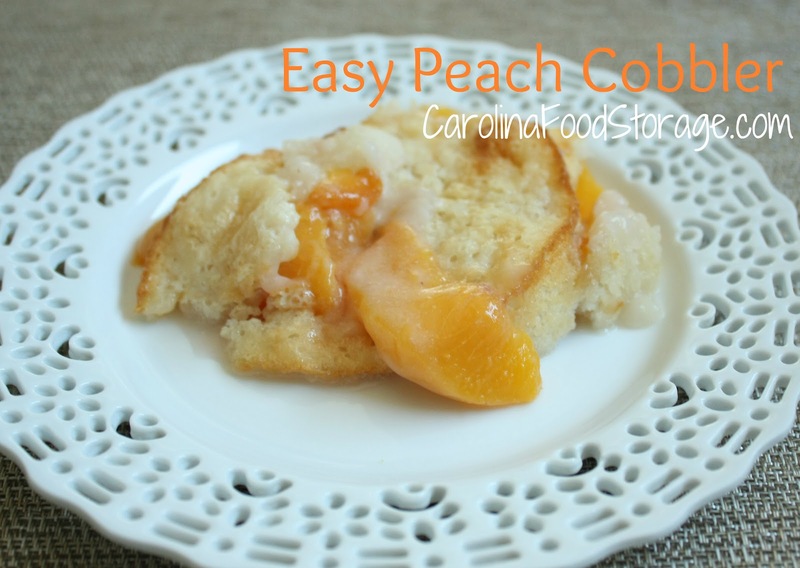 Place peach slices into the batter and bake for 30 minutes or until golden brown.